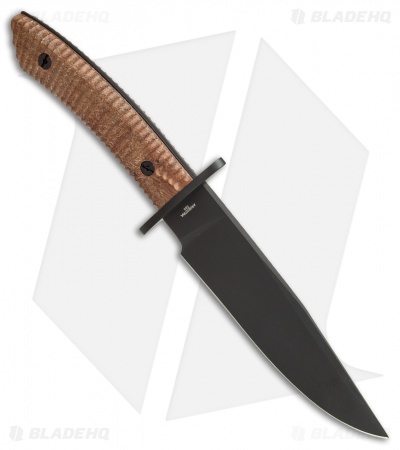 The Boker Arbolito Esculta is a scaled down version of the popular El Gigante fixed blade. This model has a dark Guayacan handle that provides a strong grip and optimal handling. The Esculta is an ideal size for field carry and well suited for camping, hunting, and general outdoor use. 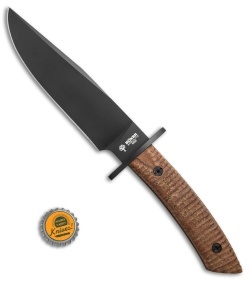 It has a stainless steel guard and a Bohler N695 steel blade that comes with a durable black Cerakote coating. 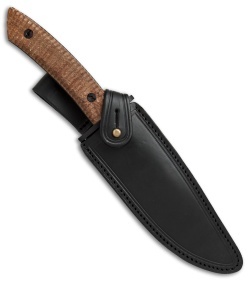 Item includes a deluxe leather sheath. Bohler N695 blade steel provides strength and edge retention. Black Cerakote coating for excellent corrosion resistance. Guayacan wood handle scales offer a comfortable grip and a classic appearance.